A deviation from normal walking. 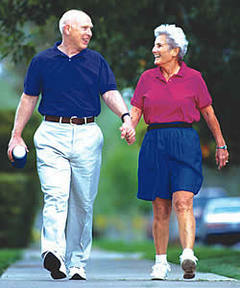 An altered gait can be caused by deficits in ROM (range of motion), strength, body posture or a neurological deficit. Physical Therapy Specialists have experts specifically trained to evaluate deficits causing an alteration in your gait pattern. We will perform a thorough exam of each of these systems. Changes in your feet may be the cause of your gait abnormality. Evaluation of these changes by trained physical therapists can eliminate the altered gait. Should your feet require a little assistance through custom molded orthotics, we can help with that by taking a mold of your foot along with specific measurements to allow your foot to function better.